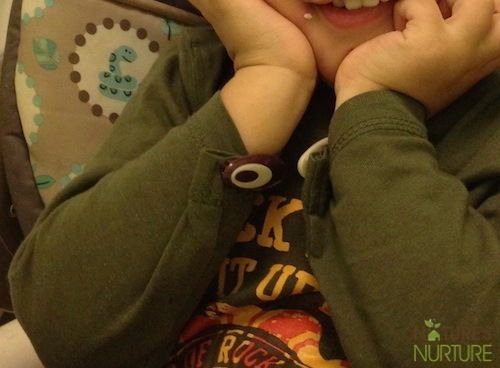 Some of the ways we’ve been managing eczema naturally for my toddler. Lots of helpful tips, products, and advice to getting some relief for your little one. 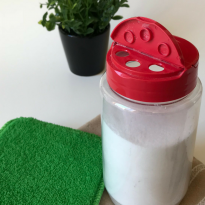 I’ve talked briefly about Yusuf’s eczema and the various changes we’ve been making to help manage eczema naturally and get it under control. But I’ve gotten a few questions about it lately, so I figured it was time for an actual post that really outlines our journey and how I’m managing my toddler’s eczema. I should note beforehand that I’m sharing our story in hopes that it can help someone else dealing with eczema or dry, itchy skin. That being said, this is just our story with our toddler. Every case of eczema is different – different severity, different causes, different symptoms, etc. So what worked for us may not work for you; although most, if not all, of the recommendations I share for how to manage it can be helpful for anyone. Also, eczema is an internal problem and can only be treated by finding out the true (internal) cause and fixing it. Lotions and creams may provide temporary relief, but without treating the root cause it will never truly go away. 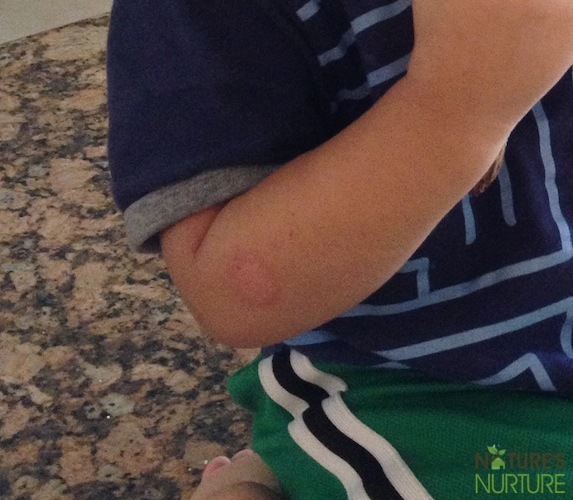 Right around 15 months old, Yusuf started getting these red, itchy spots right on the creases of his elbows and the areas surrounding them. It was around September so I just dismissed it as a reaction to the cooler, dryer weather and tried to keep it moisturized as much as possible. We went down to Florida to visit our family in October of that year, and it got much worse down there. Again, I just blamed it on the severe difference in climate and continued to treat it with various creams, lotions, oils. etc. It never went away. In fact, it only seemed to be getting worse. No matter what I did, nothing was working to keep it away long term. Just small bouts of relief here and there, but nothing permanent. His arms itched so badly he was constantly scratching at them, and if I wasn’t watching him like a hawk he’d scratch himself raw, making himself bleed on several occasions. Everyone I know kept pushing me to take him to the doctor, but I didn’t want to go that route, unless absolutely necessary. I’ve been down that road with my own dermatitis/eczema issues on my hands, and I know how that road ends. It ends with no solutions; just a tube of steroid cream and you’re on your merry way. So no, I wasn’t going that route. I knew I had to get to the root cause of this if I ever wanted it to truly go away. After doing lots of research and reading numerous stories online, I came to the conclusion that Yusuf’s eczema was most probably food related. The usual suspects are either dairy, eggs, or gluten (and he loves every one of those!). I tried to do elimination diets for him (cutting out a specific food for 2 weeks) but it was overwhelming and I just couldn’t keep up with it. Then, one day I shared my peanut butter and apple slices snack with him. The next day as I was changing his diaper the rough, red itchy skin that was until then limited only to the creases of his elbows had now spread to practically every part of his body – all up and down his arms and legs, all over his bottom and lower back, and on his belly. That was it, this confirmed to me that his skin issues were indeed food related, and I knew I had to get him tested for food allergies. His arms were covered from shoulder to wrist with dry, scaly, itchy skin. I found a great naturopathic clinic here in Toronto and made an appointment for a consult. Naturopaths aren’t cheap, and they’re definitely not covered by the free healthcare here in Canada, but we knew this was something we had to do so we did it. The visit was so wonderful; the doctor made us feel so at ease and we felt so comfortable because we’re all on the same page in terms of natural health and healing. After a complete physical and medical history, he did the allergy test by pricking Yusuf’s finger for a few tiny drops of blood. While we waited for the test results to come back, the doctor had us cut out dairy from Yusuf’s diet since he suspected it was a major allergen for him. Two weeks later, we met again with the doctor to discuss the results of Yusuf’s test. Cutting out all dairy really seemed to be helping, so I was interested to see what else he was sensitive to. Just as I’d suspected, he’s severely sensitive to dairy, egg whites, and gluten. Some other foods showed up on the test – like his favorite fruit, bananas – but not as severe as those top three. Getting the test results was a huge relief. I finally knew exactly what was causing my son’s skin issues. The next step was elimination and management. Eliminating Yusuf’s favorite foods from his diet has not been easy. Our doctor did say that food-related eczema in toddlers will usually go away on its own right around their 5th birthday, so I just looked at it as a temporary thing that had to be managed. As of today, his sensitivity to egg whites and gluten have pretty much disappeared, but if he gets some dairy in him I’ll find him scratching his arms again the very next day. He’s able to wear short sleeves again (weather permitting), and I still remember the look on his face the first time I put him in a short-sleeved shirt. He actually tried pulling his sleeves down to cover his arms because he knew that’s the way it had to be. Right now we’re not really doing much to actually manage the eczema since, thankfully, his flare ups are very few and far between. However, over the past year I’ve tried what seems like everything under the sun to help soothe and heal Yusuf’s skin, so I’ll share some of what worked for us here. Moisturizing – Moisturize all.the.time. And when you’re done, moisturize some more 😉 We used coconut oil a lot. Anything with calendula in it is good; aloe vera gel helps sometimes; body butters are good because they’re thick and lock the moisture in. 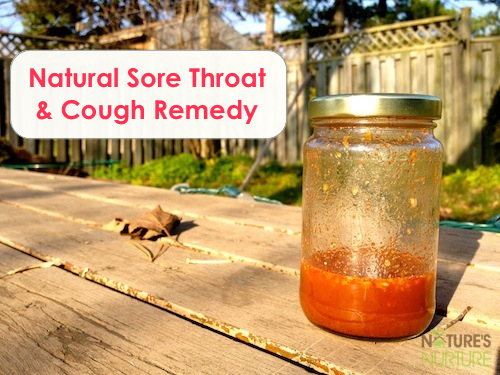 My friend, Amanda at Natural Living Mamma, has a great herbal salve that she makes that worked very well for us. You can find the recipe and/or buy the salve here. Ointments and creams are good because they’re nice and thick; lotions are not because they’re mostly water. Baths – Make sure the bath water isn’t too warm since the hot water can dehydrate the skin, and keep the baths short (around 10 minutes). 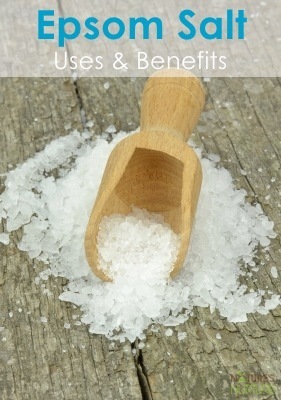 Baking soda is really good, and oatmeal or epsom salts in the bath is also great. Also try switching your bath soap (we love Dr. Bronner’s castile soap), and only bathe your baby with soap if he really needs it. 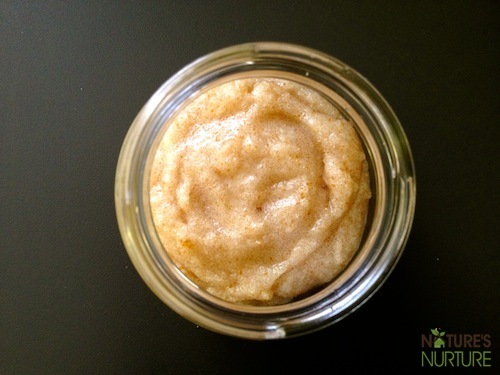 One thing that consistently worked well for us was this oatmeal bath recipe that our doctor gave us. Also, make sure to moisturize first thing after the bath to lock in the moisture. Laundry – If you haven’t already done so, you definitely should think about making your laundry routine as natural as possible. That means either making your own detergent (you can see my recipes for liquid detergent and powder detergent) or using a natural store-bought detergent. Also, ditch the fabric softeners and use vinegar in the rinse instead. Supplements – Our naturopath also put Yusuf on a probiotic supplement since eczema is almost always tied to a digestive issue. And he’s also on a fish oil supplement because the omega-3’s are anti-inflammatory. We were also given some digestive enzymes to use on the rare occasions where we know he’ll be exposed to one of his triggers, and they’ve been great! So that’s our story, and it’s been a long time coming. Yusuf’s skin has been completely clear for about 9 months now, with the occasional flare up if he’s had some dairy. He’s back on gluten, although considerably less than before, and eats eggs on a daily basis without any issues. Even his probiotics and fish oil supplements have taken a back seat lately, and all seems to be going very well. His eczema is not completely gone just yet, but I’m finally starting to see the light at the end of this tunnel. UPDATE: As of 2016, at 5 years old, Yusuf is now completely cleared of his eczema. He eats all his favourite foods without issue, and we are so grateful that we went the natural route on this. Have you or your child suffered from eczema or dry skin? How are you managing it, and what advice and tips do you have for others? Hi. I have a question. How long did you eliminate the foods for before you started noticing his skin improving? The standard wait time is usually at least 2 weeks. Hey, sorry about that! Here you go: http://naturesnurtureblog.com/soothing-bath-for-eczema-and-itchy-skin/ Thanks for letting me know! Hello Sarah, Your blog has been sent to me by a friend who also has eczema. Until then I was fairly ignorant of how it affects people. Your article is truly an inspiration. 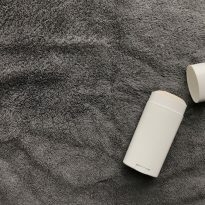 I have also been studying a lot of blogs that describe this medical condition in particular like https://www.everydayhealth.com/eczema/guide/ & https://nationaleczema.org/eczema-in-winter/ hope you and your readers find these articles useful for dealing with their condition. 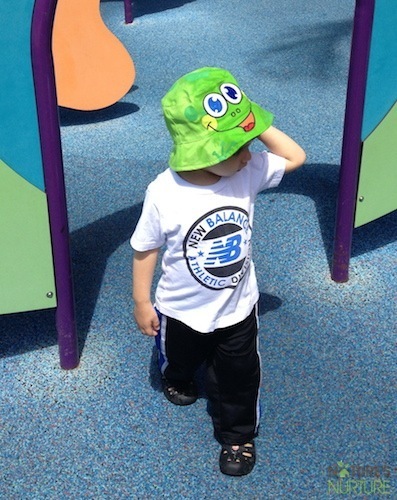 My son also has eczema – he is 6 years old and was diagnosed at about 18mos. His regular pediatrician would recommend the normal care – keep moisturized and prescribed 2% hydrocortisone to be used as needed, with caution due to the side effects. Long story short, at 5 1/2, his eczema started flaring up as summer started. It progressively got worse and inflamed and suddenly uncontrollable. We would use different lotions, like CeraVe, Renew (Melaleuca), and TriDerma, and now Gold Bond. We found the CeraVe worked good for moisturizing and healing, but not for itching and redness. after 5 months, I finally found that Gold Bond for Eczema works well, in addition to using ice packs to calm the inflammation. We have also been seeing a Chinese medicine dr that prescribes Chinese herbs and have done many cupping sessions. Lastly we have taken him to a Naturopathic dr as well and found he has reaction to bananas, dairy, beef, shellfish, chocolate, pineapple, and others, including corn and any products that contains any form of corn or dairy as well. So that means not even having foods containing corn syrup, malted corn, corn flour, milk, butter milk, milk chocolate, etc. I have become seriously habitual in reading the ingredient list of everything we eat and buy now. So far, we haven’t been able to go 1 week yet since july 3, 2017 (when we found out what foods are triggers) and we need to try and be clean for about 4 months to really see him heal from this and then slowly reintroduce to see how severe his reaction is. I know beef, dairy, corn are major triggers. I know how hard it is, esp when your child is up all night scratching and develop open sores, and feeling helpless. But like Sarah had mentioned, eczema is an internal problem and i believe each person have different list of foods that they are sensitive too and would trigger the inflammation. it’s basically an allergic reaction in a different form, and people/children do grow out of it. I am still in the beginning stages and still getting adjusted to this but i know we can get there. 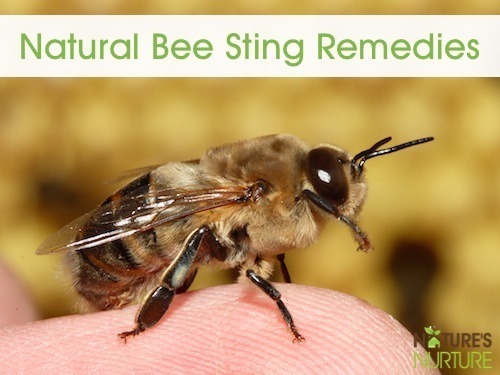 Except for extreme cases and allergy induced eczema you can treat it with a simple home remedy. When you bathe your child pour 4-5 drops of extra virgin coconut oil into a cup of water and pour it is the last Cup of water of the bath. Towel the baby dry immediately after. Then apply some more extra virgin coconut oil over the affected areas and leave the skin exposed for few minutes- then drew the baby. You wouldn’t believe how fast the skin rashes are cured. 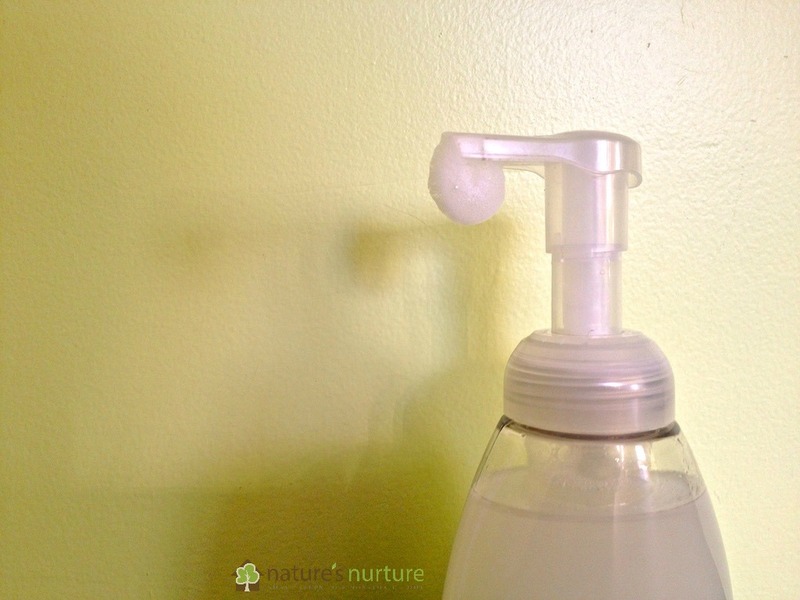 This works very well for Diaper rashes as well. in addition keep the room humidified if possible. When our daughter was small we used to live in shanghai and she used to have extreme case of eczema. All the moisteri2ers store bought and prescribed did not work Well when I did this on the aduse of an elderly family friend. Sounds great, Vishnu, thanks for sharing! My son has mild eczema and I tried a few remedies byt had no luck. His symptoms seemed to have improved when I tried foderma baby for him. I wonder if its also a certain food. That might be a possibility! It can be so hard to pinpoint food triggers without an actual allergy test. But that Foderma looks like it might be promising. Hi! Thanks for this! I just wanted to let you know that the link for the natural healing mamma salve is either incorrect or her size has been hacked! I tried going directly to her site even and my browser flagged it as a malicious link! Eek! Anyway- thanks for the article! Oh no! Thanks for letting me know. Hello- thank you for your article. I’m curious about two things: 1. Did the allergy tests show an allergy to the foods or did you just assume they were triggers? I ask because my son shows reactions to foods that were negative on the allergy test. 2. You mention he no longer has allergies. How long did it take to get there? And what was your process to determine this? You’re welcome, Monica. To answer your questions, yes the allergy test did show elevated levels for specific foods. The test put each food on a scale from low reaction to a high reaction. So we cut out the foods that were higher on the scale. Our naturopath said he would outgrow this at around school age. His diet wasn’t perfect and he would have the occasional ice cream or piece of regular wheat bread, so we just noticed his reactions to these slips was gradually getting less and less severe until they just disappeared altogether. Now at age 7, he eats everything with no reactions at all. I do notice though that if he’s been having a little too much dairy milk, he’ll get a tiny flare up on the insides of his elbows, but it goes away within a day. My son has been suffering from eczema for many years now on his legs. Although he is lighted skin he legs had several spots of discoloration. Then my doctor told me about foderma serum I ordered this serum and within a few days the difference was very noticeable. Thank you for an amazing product. The color on his legs are starting to get back to normal as well. I’m interested about the foderma serum can you please give more information? I’ve heard great things about raw goat’s milk for eczema! I don’t have access to it where I live, so I can’t offer first-hand account, but I would definitely try it. It’s great reading your posts since I have been on this route for the past couple of years. All organic stuff. Making my own detergents etc, no processed food. Infact I have now enrolled in an integrative nutrition course to create awareness in people around me as well . The extent of toxicity in us and our environment is way too much to ignore for the sake of our physical and spiritual health. Good to see a Muslim sister doing the same. May Allah swt bless your efforts. Wa alaikum assalam, sis! Thank you for the kind words, and best of luck on your studies insha’Allah! My daughter suffers from the occasional mild to moderate eczema rash. After switching to foderma serum, I noticed a significant improvement in her skin. Her skin is now completely clear, and has been for several months. Foderma serum seems to last a long time, as well. Thank you! I’m 36 and having the same issues as your boy and your post was so helpful and insightful! Foderma serum is only thing that works on my toddler daughter eczema. This is really interesting and has me encouraged to get tested for food allergies. I’m 22 and for 5 years I have developed eczema that is getting progressively worse. It looks like your son’s rash at its worst, but spreads over my whole body. Last week, I was ill with the flu and didn’t eat much. I didn’t itch at all, and now I’m thinking it’s because I wasn’t consuming whatever is making me itch. However stress is definitely makes it worse – I can’t tell if it’s a cause or affect! All the best and good luck. Very interesting observations, Ellie! Eczema is almost always an internal problem that needs to be dealt with in a holistic manner. Best of luck to you on your healing journey! I am so glad to hear he is better! We are still dealing with it. What ‘enzymes’ do you supplement with to reduce the effect of triggers?? I came across your post as I was looking for resources on ezcema cure .. My almost 3 year old has severe eczema .. it started when he was around 3 months old and starting becoming. Severe as age progressed .. it exactly same as you mentioned he is not able to wear short sleeves outside .. he is scratching his face and body so badly that he has to be on ezcema mittens .he is allergic to coconut and we believe he is allergic to tree nuts too.. from blood test he is not allergic to eggs or milk .. doctor suggested us soy milk and we have been using that for a while ..but now we doubt his itching is beacuse of that .. I am going to put him on a soy, diary , egg and gluten free diet for few days .. based on your experience how long it will take to see some difference ? It’s usually recommended to give an elimination diet 2 weeks before seeing changes. My 4 yr old has severe eczema, to the point daycare would call b/c she was in tears scratching. We’ve only used foderma serum once and she already looks and feels so much better! Pricey, but worth it. Hi Yasmine, so sorry to hear that your son is still suffering. Have you seen a doctor yet? If you have access to a naturopath, I highly recommend seeking one out for consultation and guidance with this. We are just starting our journey. I’m glad to know we’re not the only ones! Aww, best of luck, Rachel! I just came across this post because my 1 year old has severe eczema that is spreading over his whole body. I am sensitive to dairy, so I suspect he is too, but what can I give him instead of milk? Did you use a milk substitute, and if so, what was it? Also, can you tell me what kinds of probiotic & fish oil you used? My baby’s favorite food is also banana, and he eats a ton of it, so I want to try cutting it out. Poor boy. Aww, poor bub! We really liked the Garden of Life raw probiotic for kids. I can’t, for the life of me, remember what kind of fish oil we used – so sorry! But for milk substitute, we used almond milk all around. The best, most natural brand is from Silk, which is also non-GMO certified, but you can also make your own at home with this recipe. Hope that helps! My son has had eczema aince he was 6 months old, now almost 2. We took a recent vacation and it b came the worst. He is on a non inflammatory diet so he restricted from eating lots of different foods. Gluten I have noticed changes the stool to a pale color, but when I cut it out he’s back to normal. Our naturopath has him on fish oil, quercitin, probiotics, vitamin C and nettles. He’s allergic to black mold, egg whites, dog dander, soy and peanuts. He still has it pretty bad and constantly scratches. Im so glad I found your blog and tried the oatmeal bath tonight. I’m looking forward to trying the balm recipe as well. 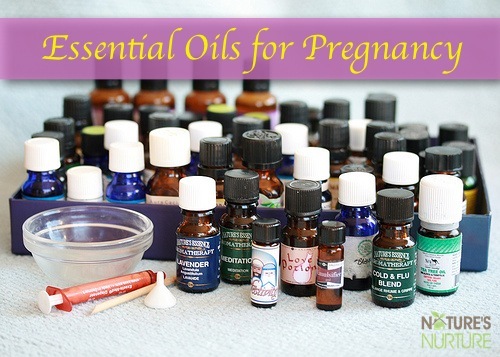 It’s great to find like minded Momma’s going through the same issues, looking for natural solutions. Oh Kristen, hearing your and your son’s story just makes my mama heart ache! I remember how tough it was in the very beginning, and it looks like you’re doing such a wonderful job and finding help and relief for your little guy. *hugs* I only pray that it resolves itself, for the most part, on it’s own by the time he hits school age. That’s what our naturopath told us, and he was right – right around his 4th birthday my son’s eczema had calmed down a lot! Still a few flare ups now and then, but most due to environmental issues (weather, etc), and not so much from food anymore. Best of luck to you and your little guy! Oh, and I highly recommend you check out The Eczema Company, which was (and still is!) my go-to place for all things eczema related. Thank you sarah ur whole article made me feel good I was tensed and. Overwhelmed To see my boys condition .my toddler has severe aczema food related and I can see almost same as Yusufs inshaAllah ill try your methods to see if it works for jassem. This is a great bath recipe. 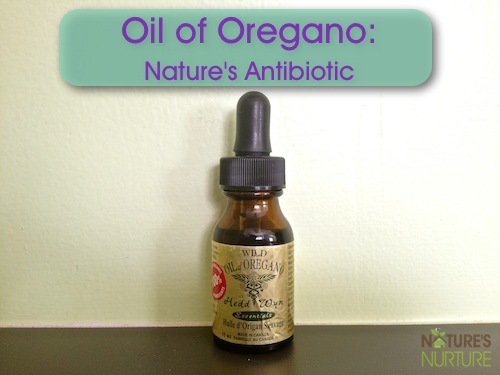 It reduces the redness on my four month old baby’s body. However I must warn not to use on the face if the skin is very damaged. My baby has eczema worse on his face and he scratches a lot. Using this mixture with baking soda irritated his skin and he was screaming within seconds. 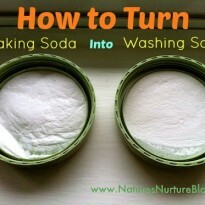 I think anyone planning to use on the face should be careful not to include the baking soda. Other than that, it really does help with eczema. Please Sarah whatever you do, avoid Dr Bronner’s soap like a plague! Most people think because it’s “natural” it’ll be good for the skin, wrooong! It is caustic! Did you know that soap has been known to literally EAT THROUGH clothing when it was mistakenly spilled onto it? I kid you not, search online. I was fine with it for a while until I started itching in one spot and gradually all over my body. I also noticed my skin was actually becoming dry. Strange for me since I had never had dry skin. I blamed the weather and the light lotions i used…that is until the day I applied the soap in the shower and I was on fire! Like it literally felt as if I was having a chemical burn; and what do you know, I actually discovered scabs on my skin the next day! I immediately stopped using and only then did my skin begin to gradually heal. And oh, did i forget to mention the day when i decided use the soap to wash my hair extensions? Biggest mistake ever as the hair matted up and literally became unusable! Please be aware that not all “natural” products are good or safe, at least not Dr Bronners soap! Wow, that’s crazy Olive! I’ve never heard of this before, and I’ve never had an experience like this. I’ve been using their soaps for almost 10 years now without issue. I’m so sorry you had such a bad reaction. Have you contacted them directly about this? Maybe they can help pinpoint exactly what’s going on? Maybe there are other factors that are missing? In any case, I’m glad you’re doing well! I also had the same bad experience with Dr Bronners soap. I also thought that it was all natural and would not make my babies eczema worse but it did. The moment that I bathe him with it, he started scratching like crazy all over his body. My name is Sheena Smith and I recently came across your blog. I really felt compelled to write to you and tell you about this amazing skin technology I found and use on my daughter and her eczema . The product is called Skincerity and has had some amazing results with eczema sufferers along with various other skin related issues. I know you have probably tried everything under the sun but thought I should let you know about this product I found and how there is a 30 day money back gaurentee as well that the company offeres, so you can’t really loose! Recently Kayla had a breakout rash after already being in a flare and a result to a new lotion Grandma tried on her. It did take 11 days to calm things down but I think that’s the fastest result I have had with her skin EVER!!! Let me know if you want some more info! Hi Rachel, sorry to hear that your daughter is suffering. 🙁 Our naturopath actually did the IgG test, not the IgE. From what I remember, he mentioned that the IgE test is for immediate onset of allergic reactions (peanut allergies, and anaphylactic shock, etc. ), but the IgG is used for delayed onset reactions, such as general food intolerances. Hope that helps! Hi, Ive had eczema my whole life im 19 years old and ive been having this ever since i was a baby. I just recently starting having a break out about three months ago im still fighting it. Im glad i found this site, im going to try all of your advice i hope it works. My eczema is very severe intense probably on the worst of the scale. So thank you very much let me know if you find any new remedies pretty please. What probiotics did you give him?? I’m battling my son’s eczema and feel like I’ve tried everything. Just starting to eliminate some things from his diet and really want to get him on probiotics. We really like Garden of Life’s raw probiotics for kids. How’s your son doing now, Alli? For the first time in their lives, their skin feels “normal”–actually soft! With this Citrus Clear Repair Moisturizer, their skin feels as close to normal as I think it possibly can. Even Eucerin cream and Vasoline doesn’t make their skin feel this normal. Thanks for the recommendation, Joni! I’m a so glad to hear your kiddos are doing better. I know exactly what you mean about how sad it is to see your child’s skin all rough and dry when it’s supposed to be soft and smooth – so heartbreaking! 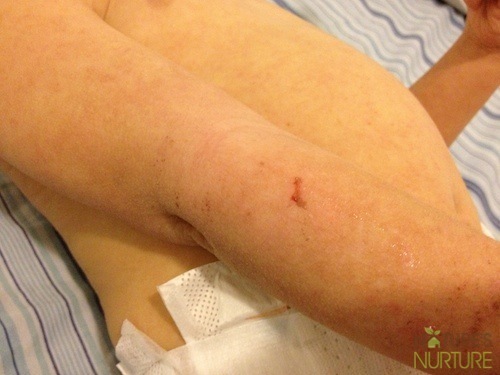 I am a mother of 3 year old twins and one of my boy has bad eczema. It started around when he was 6 months and seems like its getting worse. We have tried so many creams so many remedies but nothing seems to be working. I am devastated and more fustrated actually. I feel like his eczema is taking over all of us. Would it be possible to speak to you? I believe you live in Toronto, I am also located in GTA. If possible drop in an email.I would really appreciate it. P.S you are GREAT MOM!!!! My son was diagnosed with Eczema around when he was 18 months. He had those symptoms from 4 months onwards. We changed some food habits and took ‘Classical Acupuncture Treatment’. Now he is 4 and has completely cured. Willing to share a detailed story if really interested. I am interested, Sir. Thanks. Hi!, I was reading about how you maneged your kids Excema, and saw you use Borax in your home made laundry soap. Be very careful with Borax, because it is a poison (used to kill rats), and it is toxic, – either throu skin contact, swalowed or breathed (the powder). I saw some time ago a coment over it of a guy that is a profesional Chemist, and he was so upset about the whole fashion of using Borax as a safe non toxic way of cleaning mold and other house hold uses. Borax doesn´t expell fumes as clorine, thats why it is an alternative to it in mold removal for example, but the powder is toxic in low dosis. So be careful, and think maybe your home made laundry detergent can also be acusing the excema in your kid. It can cause other future problems (I have red also causes infertility, etc). watch out and spread the word! regards! When we eliminated dairy from our diet my and my daughters eczema cleared up completely. my son has eczema, most of the time its just really dry alligator skin but he gets break outs, we’ve tried alot of things, coconut oil works wonders mixed with oatmeal baths for us but he still has it, we’ve changed his diet and hasnt changed and unfortunately we dont have an allergist anywhere near us, working with the dr to try and just do a skin test on him but they are un cooperative…., i have it as well and i know my trigger is milk, i get it on my hands, legs and scalp, the scalp is the worst. Oh Krista, I know all about that “alligator skin”! Best of luck in finding your son’s triggers and getting it all under control! So glad you had luck! Our daughter had a similar situation, and hers vanished with a dietary change as well (ours was gluten). It is amazing to watch your child suddenly feel more comfortable after suffering! Absolutely, Maura! After seeing them suffer for so long, it really puts a mama’s heart at ease knowing that your little one can finally find some relief!